Ukrainian military technology satellite. Military technology development satellite - mission still classified. Technology, military satellite built by Yuzhnoye, Russia. Launched 1965 - 1968. Used DS Bus. Status: Operational 1965. First Launch: 1965-10-19. Last Launch: 1968-02-20. Number: 4 . Gross mass: 320 kg (700 lb). Family: Military technology sat, Technology. Country: Ukraine. Launch Vehicles: Kosmos 2, R-12, Kosmos 11K63, Kosmos 63S1M. Launch Sites: Kapustin Yar, Kapustin Yar LC86/1, Kapustin Yar LC86/4. Agency: MO, Yuzhnoye. Bibliography: 2, 6, 99, 12286. 1965 October 19 - . 05:44 GMT - . Launch Site: Kapustin Yar. Launch Complex: Kapustin Yar LC86/1. LV Family: R-12. Launch Vehicle: Kosmos 11K63. Cosmos 93 - . Payload: DS-U2-V s/n 1. Mass: 305 kg (672 lb). Nation: Russia. Agency: MO. Program: DS. Class: Technology. Type: Military technology satellite. Spacecraft Bus: DS. Spacecraft: DS-U2-V. Completed Operations Date: 1965-12-16 . Decay Date: 1966-01-03 . USAF Sat Cat: 1629 . COSPAR: 1965-084A. Apogee: 513 km (318 mi). Perigee: 216 km (134 mi). Inclination: 48.40 deg. Period: 91.80 min. 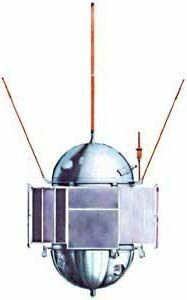 Military technology development satellite - mission still classified..
1965 November 4 - . 05:31 GMT - . Launch Site: Kapustin Yar. Launch Complex: Kapustin Yar LC86/1. LV Family: R-12. Launch Vehicle: Kosmos 11K63. Cosmos 95 - . Payload: DS-U2-V s/n 2. Mass: 325 kg (716 lb). Nation: Russia. Agency: MO. Program: DS. Class: Technology. Type: Military technology satellite. Spacecraft Bus: DS. Spacecraft: DS-U2-V. Completed Operations Date: 1965-11-04 . Decay Date: 1966-01-18 . USAF Sat Cat: 1706 . COSPAR: 1965-088A. Apogee: 521 km (323 mi). Perigee: 211 km (131 mi). Inclination: 48.40 deg. Period: 91.90 min. Military technology development satellite - mission still classified..
1967 December 26 - . 09:01 GMT - . Launch Site: Kapustin Yar. Launch Complex: Kapustin Yar LC86/4. LV Family: R-12. Launch Vehicle: Kosmos 11K63. Cosmos 197 - . Payload: DS-U2-V s/n 3. Mass: 325 kg (716 lb). Nation: Russia. Agency: MO. Program: DS. Class: Technology. Type: Military technology satellite. Spacecraft Bus: DS. Spacecraft: DS-U2-V. Completed Operations Date: 1968-01-30 . Decay Date: 1968-01-30 . USAF Sat Cat: 3079 . 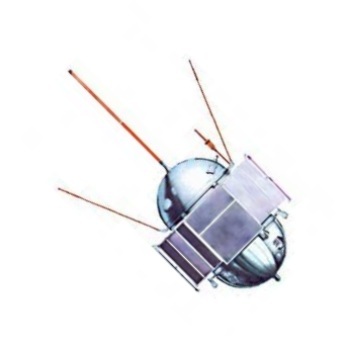 COSPAR: 1967-126A. Apogee: 486 km (301 mi). Perigee: 217 km (134 mi). Inclination: 48.40 deg. Period: 91.50 min. Military technology development satellite - mission still classified..
1968 February 20 - . 10:03 GMT - . Launch Site: Kapustin Yar. Launch Complex: Kapustin Yar LC86/4. LV Family: R-12. Launch Vehicle: Kosmos 11K63. Cosmos 202 - . Payload: DS-U2-V s/n 4. Mass: 325 kg (716 lb). Nation: Russia. Agency: MO. Program: DS. Class: Technology. Type: Military technology satellite. Spacecraft Bus: DS. Spacecraft: DS-U2-V. Decay Date: 1968-03-24 . USAF Sat Cat: 3128 . COSPAR: 1968-010A. Apogee: 488 km (303 mi). Perigee: 210 km (130 mi). Inclination: 48.40 deg. Period: 91.50 min. Military technology development satellite - mission still classified..